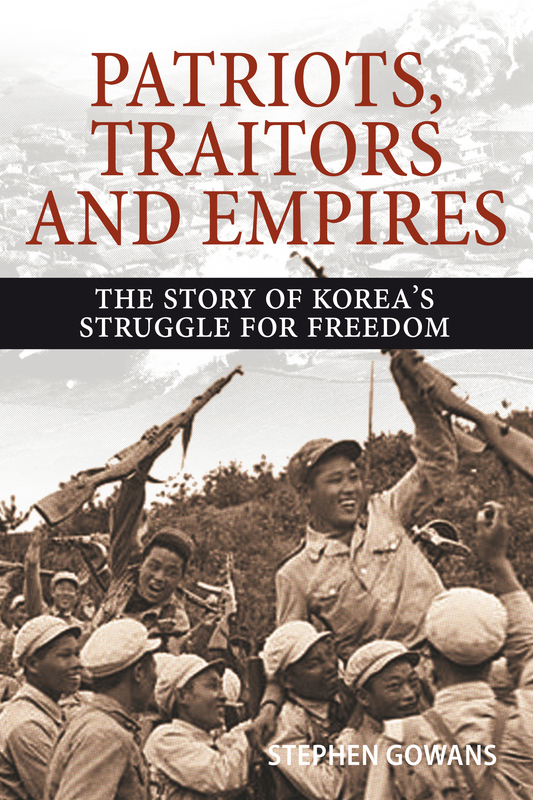 Patriots, Traitors & Empires: The Story of Korea’s Struggle for Freedom, Stephen Gowans’ latest book on the Korean conflict, could not be more timely given the recent tensions on the Korean peninsula as well as the recent overtures being made for peace and reconciliation. The book is also a very good antidote to the anti-DPRK propaganda we have been fed for so many decades. The Korean conflict, usually thought of as beginning in 1950 and ending in 1953, is one of the least known and understood conflicts in which the US has been involved. Given the lack of knowledge about this conflict, it has been easy to paint the DPRK, usually referred to as North Korea, as a rogue state led by a succession of madmen. As Gowans’ book explains, the real story is much more complex than this and indeed greatly favors the DPRK over the United States which has truly been the villain in this saga. First of all, Gowans explains that the beginning of the Korean conflict can fairly be said to begin in 1945 when, as WWII was coming to an end, two US generals drew the arbitrary dividing line of Korea at the 38th parallel and when the US began to intervene quite deeply in what quickly became South Korea. The conflict could indeed be said to have begun even sooner as Gowans explains – that is, in 1932 when Kim Il-sung began the Korean armed resistance against the brutal Japanese occupation of Manchuria and Korea. Of course, after WWII was over and fascist Japan defeated, the Koreans reasonably believed that all of this would end and that Korea would proceed as an independent and unified country as it had been for centuries before. However, the US had other plans, as it had for Vietnam which had aspirations quite similar to that of Korea. Thus, as Gowans explains, the US, in the interest of blocking Soviet expansion and preventing countries like Japan and Korea from voluntarily turning to communism or socialism, decided that it was critical to help Japan maintain its economic dominance over parts of Asia, including Korea, or at least the Southern half. I have no idea how it transpired that mines linked to the DPRK (north Korea) that severed the legs of two south Korean soldiers in the demilitarized zone earlier this month came to be where they were, anymore than Washington, Seoul or The New York Times does. But I do know that the set of possible explanations contains more than the single explanation favored by the south Korean and US governments and the Western media, that the mines were deliberately planted by north Korean soldiers as part of an “ongoing pattern of provocation.” I also know that neither Seoul nor Washington are likely to let any opportunity pass to resolve ambiguity into the certainty that the north Koreans, repeatedly denounced in Western propaganda as “belligerent”, have deliberately provoked tensions. The Western propaganda system has a confirmatory bias. All acts of north Koreans must be construed as belligerent, with every act so construed reinforcing the theory. But there are alternative, and more likely, explanations. In light of the large number of mines in the zone, and the scores of accidental deaths the mines have caused, it hardly seems that an accident is completely out of the question as an explanation for the tragedy of August 4. On the contrary, it seems to be a probable explanation. Nevertheless, the probable explanation has been “ruled out” without explanation by Seoul and the “U.N. Command”, the latter presented in press reports as a neutral body, when, indeed, it is none other than the US military. The attempted deception of portraying US occupying forces as impartial observers is necessary to invest the accusation against north Korea with weight, since no one of an unbiased mind reasonably expects Washington to have a neutral attitude toward a country whose government it has been trying to bring down for the past 65 years. By blaming north Korean for the tragedy, the US-led duo, patron and client, is deflecting attention from its own actual provocations of north Korea by inventing provocations on the north Korean side. August 17 marked the beginning of joint US-south Korean war games targeted at north Korea, known as Ulji Freedom Guardian. These follow north Korea-targeted war games carried out earlier this year by the United States, south Korea, Britain, Australia and Canada. North Korea poses a vanishingly small offensive military threat to the US client state on the south of the peninsula. 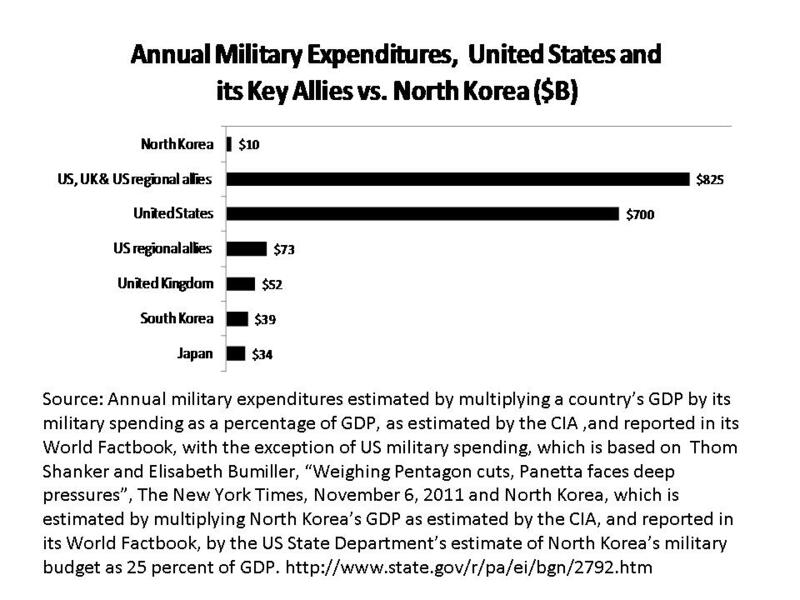 At $39 billion annually, Seoul’s military budget towers over Pyongyang’s comparatively meagre $10 billion annual expenditure. Adding decisively to the imbalance is the presence of nearly 30,000 US troops—and advanced US military hardware—on Korean soil, to say nothing of 45,000 US troops in nearby Japan, or the strategic nuclear missiles the United States targets on north Korea. Contrary to a favored Western deception, the US war games on the Korean peninsula are not defensive; they’re part of a decades-long effort of low intensity warfare carried out by the United States and its client regime whose aim is to sabotage the small north Korean economy by forcing Pyongyang onto a perpetual war footing in which scarce resources are diverted from the civilian economy to defense. North Korea’s small economy can hardly support the expenditures on a conventional military necessary to deter aggression by south Korea and its behemoth patron. But this it must do, and is part of the reason why it has developed a nuclear shield. Pyongyang’s nuclear weapons, much are they’re portrayed to be provocative, are not a threat to Washington or Seoul. There’s much talk of “denuclearizing” the Korean peninsula, which is nothing more than a call for north Korea to remove a formidable obstacle to the United States fulfilling its agenda of chasing the anti-imperialists out of Pyongyang. Korea will never be denuclearized in any meaningful way so long as US strategic nuclear weapons are, or are able to be, targeted on north Korea—which is to say, so long as the United States maintains a nuclear arsenal. And since there’s no chance that Washington will voluntarily relinquish its nuclear weapons anytime soon, if ever, all talk of denuclearizing the Korean peninsula is simply a conversation about north Korea’s capitulation. Calling for north Korea to denuclearize, without first calling for the United States to do the same, is logically indefensible. Since the cause of Pyongyang’s possession of nuclear weapons is to deter an aggressive nuclear armed predatory state, it follows that the only way in which the Korean peninsula can be disarmed meaningfully is to remove the root cause of its nuclearization, which means bilateral disarmament, and not north Korea surrendering its nuclear weapons unilaterally while the United States retains the capability to turn north Korea into a “charcoal briquette,” as a former head of the Pentagon once threatened. And just to be clear about who the aggressor is, consider that, according to declassified and other US government documents, from “the 1950s’ Pentagon to today’s Obama administration, the United States has repeatedly pondered, planned and threatened the use of nuclear weapons against north Korea,”  and importantly, during most of those years north Korea was a non-nuclear weapons state. These documents, along with the public statements of senior US officials, point to an ongoing pattern of US nuclear intimidation of the DPRK. Since the United States is one of the most aggressive countries in history, not out of place in a category that contains Nazi Germany and militarist Japan, we should hardly passively accept its status as the world’s #1 possessor of WMD. As for north Korea, whose only military aggression (if it can be called that) has occurred as part of a just and legitimate civil war to achieve real independence by liberating the south from the rule of the United States and the Japanese collaborators it recruited to staff its puppet state, it seems to me that lamenting Pyongyang’s nuclear arsenal while accepting Washington’s is completely backward. It’s like deploring the symptoms while accepting the virus. According to the Wall Street Journal, the White House knew that the north Koreans would react by threatening to retaliate against the United States and south Korea. US “Defense officials acknowledged that north Korean military officers (were) particularly agitated by bomber flights because of memories of the destruction wrought from the air during the Korean War.”  US warplanes had demolished every target over one story. They also dropped more napalm in Korea than they did later in Vietnam. The death toll reached into the millions. The reality, then as now, is exactly opposite of the narrative formulated in Washington and reliably propagated by the Western mass media. Washington and Seoul haven’t responded to north Korean belligerence and provocations; they’ve deliberately planned a show of force in order to elicit an angry north Korean reaction, which is then labelled “belligerent” and “provocative.” The provocations, coldly and calculatingly planned, have come from Washington and south Korea. North Korea’s reactions have been defensive and necessary. As for the DMZ mine incident, it seems likely that it was accident and Washington and Seoul have decided to turn it into an opportunity to further demonize north Korea, to use it as a pretext to ratchet up pressure on Pyongyang by resuming propaganda broadcasts across the border, and to divert attention from the true provocations on the peninsula—their regular and robust anti-DPRK war games. 1. Choe Sang-hun, “South Korea accuses the north after land mines maim two soldiers in DMZ”, The New York times, August 10, 2015. 2. US-S. Korean Ulji Freedom Guardian joint military drills under fire,” Rodong Sinmun, August 14, 2015. 3. Mark McDonald, “North Korea suggests Libya should have kept nuclear program”, The New York Times, March 24, 2011. 4. 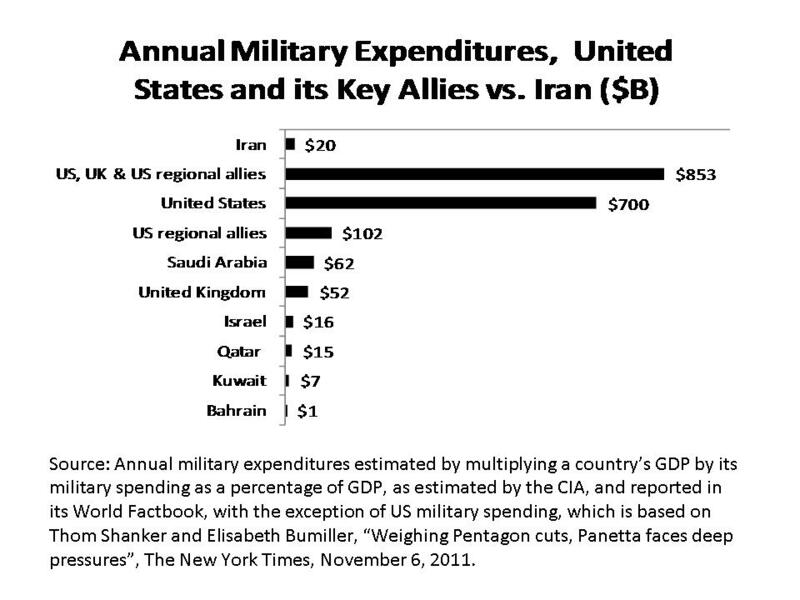 Ethan Bronner, “Israel sense bluffing in Iran’s threats of retaliation”, The New York Times, January 26, 2012. 5. Charles J. Hanley and Randy Hershaft, “U.S. often weighed N. Korea nuke option”, The Associated Press, October 11, 2010. 10. Bruce Cumings, Korea’s Place in the Sun: A Modern History, W.W. Norton & Company, 2005. p. 488-489. 11. William E. Berry Jr., “North Korea’s nuclear program: The Clinton administration’s response,” INSS Occasional Paper 3, March 1995. 12. Bruce Cumings, “Latest North Korean provocations stem from missed US opportunities for demilitarization,” Democracy Now!, May 29, 2009. 13. Lou Dobbs Tonight, October 18, 2006. 15. Choe Sang-hun, “New leader in South criticizes North Korea,” The New York Times, February 13, 2013. 16. “Foreign ministry issues memorandum on N-issue,” Korean Central News Agency, April 21, 2010. 18. 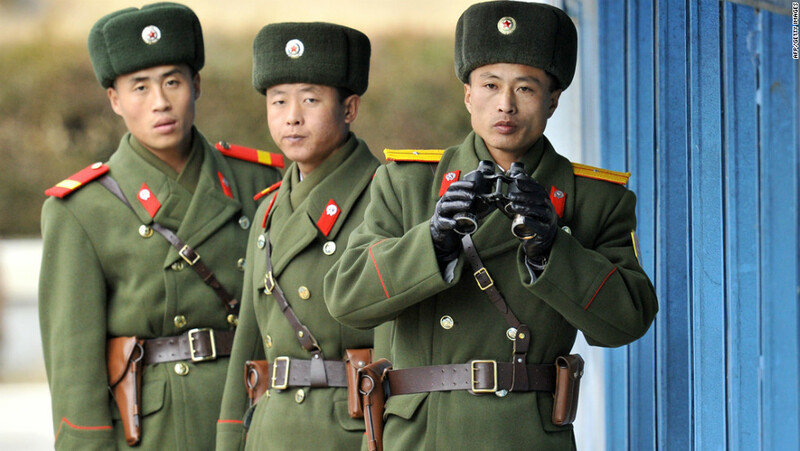 Rodong Sinmum, August 17, 2015. 19. “More leaflet launches by conservative groups during inter-Korean impasse,” The Hankyoreh, August 14, 2015. 20. Choe Sang-hun, “South Korean leader marks anniversary of war’s end with warning to north Korea,” The New York Times, August 15, 2015. 21. Jay Solomon, Julian E. Barnes and Alastair Gale, “North Korea warned”, The Wall Street Journal, March 29, 2013. 23. Bruce Cumings. The Korean War: A History. Modern Library. 2010.